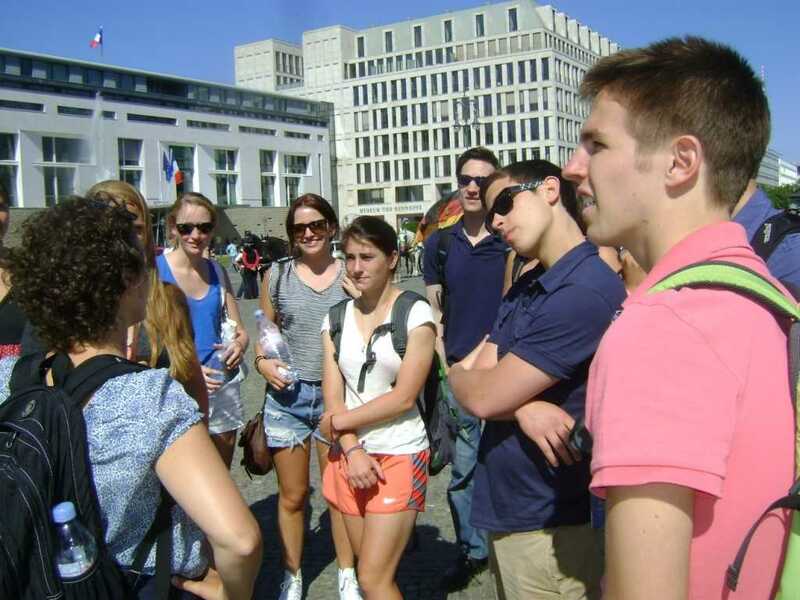 Trinity students have the opportunity to take classes in Berlin, Germany this summer through the College’s new five-week Summer in Berlin study away program led by Johannes Evelein, Professor of Language and Culture Studies, and Jason Doerre, Visiting Assistant Professor of Language and Culture Studies. The program was first introduced in 2012 by Professor Evelein, who has done extensive research on Berlin, a city he admires for publicly honoring the darker days of its history as opposed to hiding them. 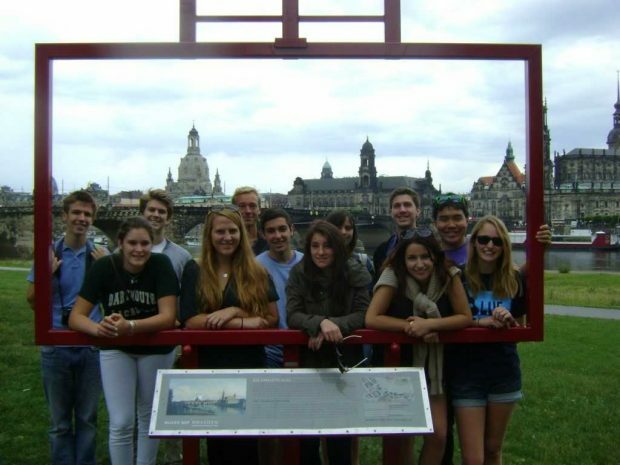 The College has decided to reincorporate the program for the Summer 2019 term, where students will have the opportunity to take two courses (worth one credit each), participate in a variety of school field trips and excursions throughout Germany, and have enough free time to travel to different European cities and countries with their peers. The second course, Berlin Stories, will be taught by Professor Doerre. Students will study a diverse set of cultural and historical narratives from prominent people in and around the metropolis. The German language courses will be taught by both Professor Evelein and Professor Doerre and are open to beginner and novice students. Professor Evelein emphasizes utilizing the city as a classroom, and German language students will have the opportunity to practice their speaking skills through class outings to various places throughout Berlin. Professor Evelein is very familiar with Berlin, as he has spent an extensive amount of time there and has done in-depth research on the German metropolis. He watched the fall of the Berlin Wall and recounts how incredible it was to see the first people and automobiles passing through this symbolic structure that had both physically and ideologically divided Berlin and prevented people from traveling between Communist East Germany and Democratic West Germany during the Cold War. Many years later, Professor Evelein returned to Germany to live there with his family for two years. He has also taught summer courses at a local university. He is excited to return to Berlin this summer with his second group of Trinity students so that he can help them learn about the city and experience all that it has to offer. The program features a variety of school-sponsored excursions that will take students to different German towns and cities where they can further immerse themselves in and learn about German history and culture. Attendees will have the opportunity to visit Nazi concentration camps, where millions of Jewish people and others of different ethnicities and religions were tortured in horrifying conditions and separated from family members, starved, physically abused, and executed under Adolf Hitler during World War II. An additional excursion that the program will offer is to Dresden, an eastern German city that was bombed by Great Britain and the United States during the final months of World War II in an attack that nearly destroyed the city and killed tens of thousands. The city of Dresden has since been rebuilt and offers a historically-rich space for students to learn more about Germany’s complex history. The Berlin program will start on May 25 and end on Jun. 28, 2019. Students must be in good academic and social standing and have a minimum of a 2.5 cumulative GPA in order to apply. Those enrolled in the program will be housed in student dormitories in double and single rooms and will be responsible for the majority of their own meals. The deadline to apply is Mar. 1. Students who are interested in studying in Berlin this summer should contact either Professor Johannes Evelein, Professor Jason Doerre, or the Office of Study Away with any questions.